Masculine footwear with a feminine touch is perfect to weather the winder chill. 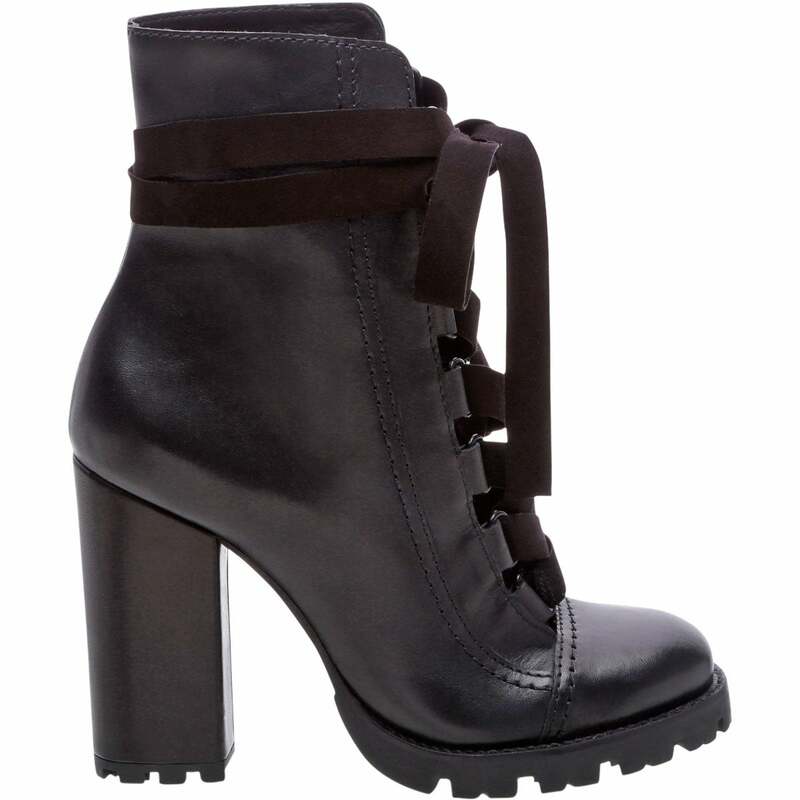 “Talia” lace-up boots with block heels, $290, schutz-shoes.com. patent leather booties with fur, $560, baldinini-shop.com. 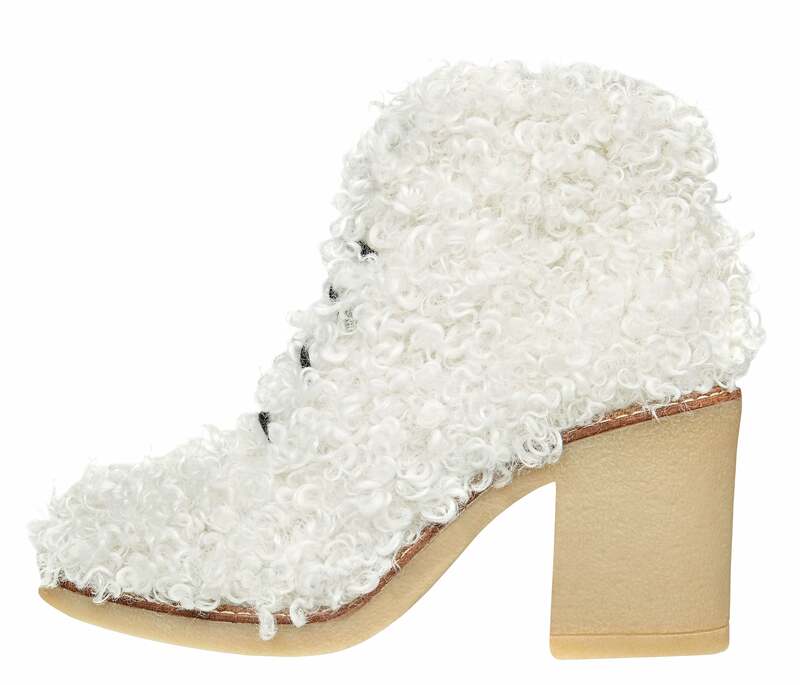 white “Dahlia” faux-fur boots, $103, us.asos.com. 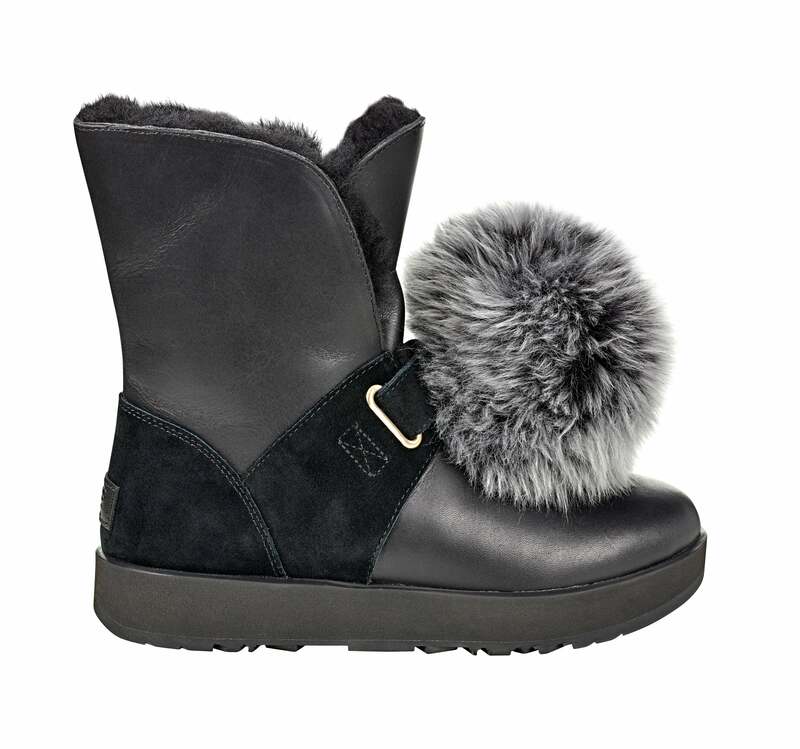 “Roxey” leather lace-up hiker boots, $139, macys.com. 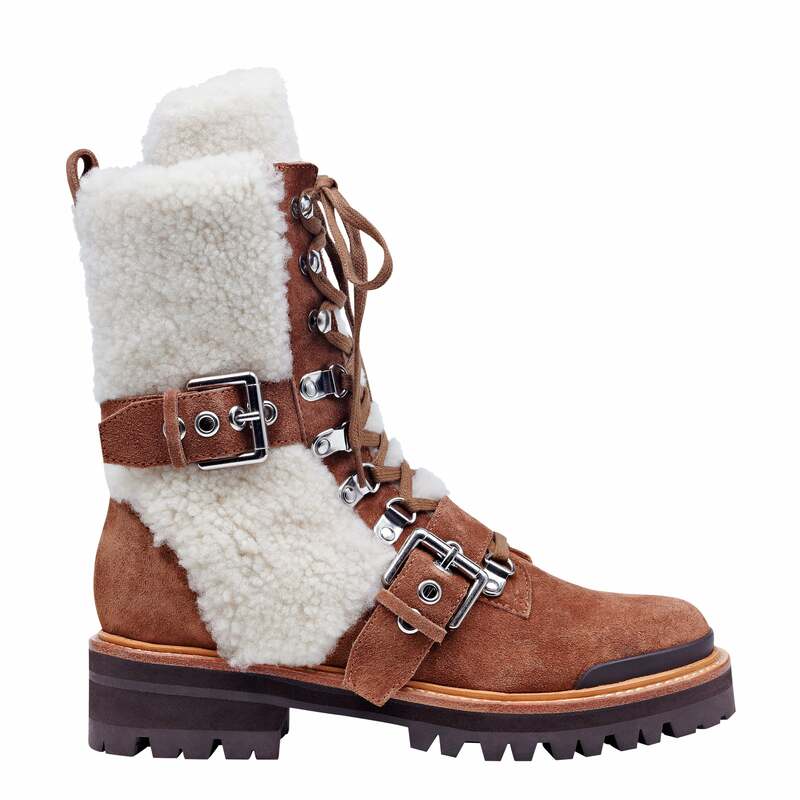 “Iris” suede hiker booties with shearling, $495, shopbop.com. “Dacie” leather booties with rubber soles, $230, sorel.com. 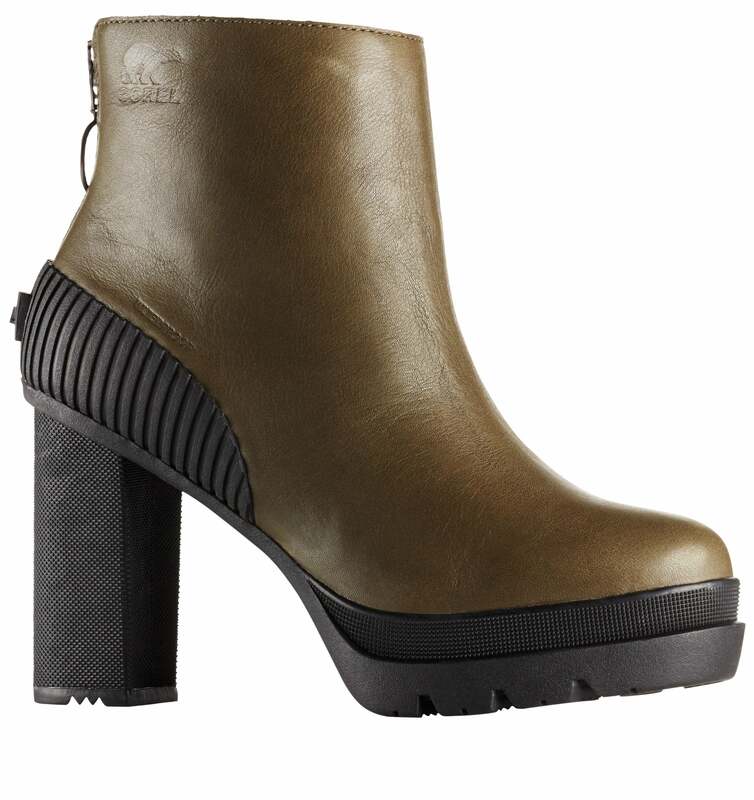 “Isley Waterproof” boots, $240, ugg.com.